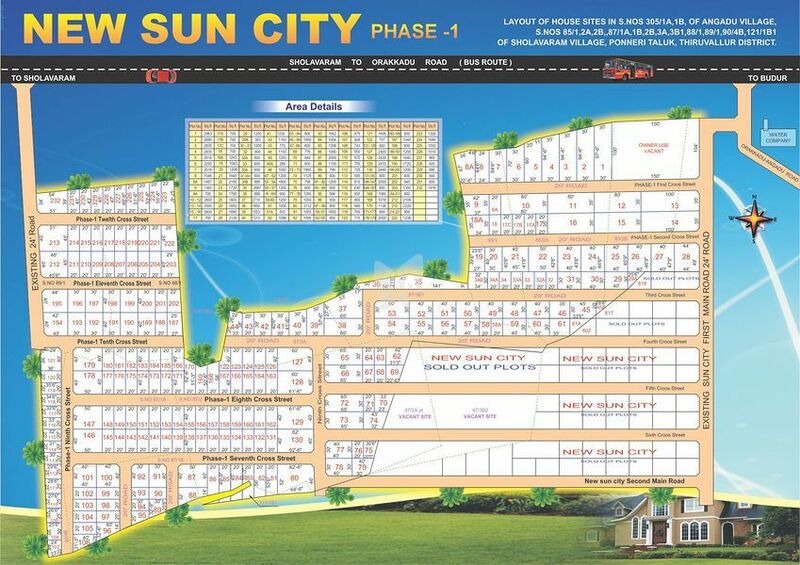 How Far is AJE The New Sun City - GNT Phase 1? AJE The New Sun City - GNT Phase 1 is a residential development by AJE Properties in Sholavaram Village, Ponneri Taluk, Thiruvallur District. It offers 262 plots ranging from 289 sqft - 3500 sqft. Sholavaram is a quiet town 24 km (15 mi) north of Chennai, Tamil Nadu, India.Chennai 600067 is the pin code of sholavaram. It is primarily known for its Lake and the motor racing track. Sholavaram lake is one of the many water bodies that are used as water sources for Chennai.